Premier condolence website eCondolence.com announces new partnership with Pathways — a San Francisco Bay Area not-for-profit providing home health, hospice, private duty, and geriatric care management care — to provide information and resources to individuals and families, helping understand loss and express condolences. 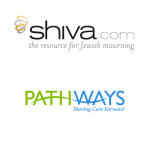 eCondolence.com has announced a partnership with leading health services provider Pathways, expanding its network of hospice partners and bringing dedicated information, tools and resources to the more than 5,000 families that Pathways serves annually, and its caregivers. 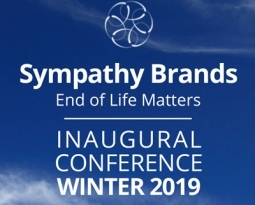 eCondolence.com provides an easy-to-use, efficient resource to help family members, friends, colleagues and acquaintances cope with the loss of a loved one. 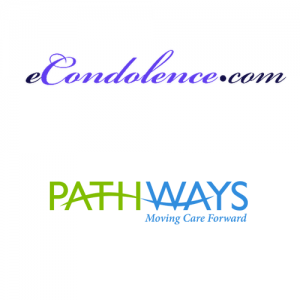 The site offers information and guidance about appropriate items to send and words to express condolences in a respectful and understanding way. Pathways, a San Francisco Bay Area not-for-profit, has been a pioneer in home health, hospice, and palliative care since 1977. With offices in Sunnyvale, South San Francisco, and Oakland, Calif., Pathways serves more than 5,000 families annually in five Bay Area counties. Pathways cares for patients wherever they live—at home, in nursing homes, hospitals, and assisted living communities. Affiliated with El Camino Hospital and Sequoia Hospital since 1986, Pathways is accredited by The Joint Commission and is a member of the Visiting Nurses Association of America, California Hospice & Palliative Care Association, and the National Hospice & Palliative Care Organization. Pathways was a 2015 recipient of the Pilot Pioneer Award by Aging2.0, a worldwide “start-up accelerator” with a mission to fast-track innovations for improving the lives of older people, at their Global Innovation Summit. Pathways has been a HomeCare Elite top home health agencies award winner for the past four years. For more information about Pathways, or to donate, call 888-755-7855 or visit pathwayshealth.org.